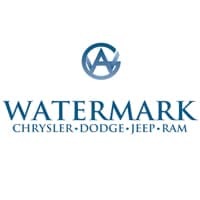 Welcome to Watermark Chrysler Dodge Jeep RAM’s Finance Department, your #1 auto loan and car lease resource. For the best auto-financing experience, visit Watermark Chrysler Dodge Jeep RAM, where our expert finance team goes the extra mile to assist our customers in finding top-tier finance programs at the most competitive rates. We can help you get on the road in a vehicle that fits your lifestyle with financing that fits your budget. Whether you have excellent credit, bad credit, no credit, or are a first-time car buyer, we strive to work with each customer to help them find the best possible option for financing! We also have low-interest car loans available for customers with existing loans. If you are ready to take the first step toward financing your new car, truck, SUV or van, you may begin with our online credit application now. Or, visit us at 1055 Crossing Place, Madisonville, KY 42431 to sit down and discuss your finance options with us face-to-face. We look forward to helping our customers from Madisonville and Hopkins County, as well as Evansville, IN, finance their new or used car purchase!